8K and 4K run or walk, & free 1K run. New certified 8K. 4K includes park trails. Awards, prize drawings, t-shirts, flat and fast course, chip timing. Ky's 3.1 Run is located in the heart of the beautiful countryside of Chaseburg, Wi. This rigorous course can be either ran, or walked, and always enjoyed. Each year's profits fuel a scholarship program that rewards active students just like Kylie. We invite you to come smile with us. The Extreme North Dakota Watersports Endurance Test (END-WET) is a down-river swim ultra-marathon (27 miles in 2012-13, 36 miles starting in 2014) where solo or relay swimmers will travel from rural ND into East Grand Forks, MN, on the mighty Red River of the North. The longest swim race in North America! The 10th Annual Y Kids Tri is a fun, non-competitive triathlon that’s all about getting kids excited to get fit! Kids ages 6-14 will experience a morning of encouragement, cheers and satisfaction of completing this swim, bike and run event. There’s nothing like the excitement of crossing a finish line! No experience is necessary! Kids are encouraged to train during the summer, so it’s a great way for family to get fit together. The only first timer triathlon of its kind in the Midwest. Exclusively for first timers and limited to 200 participants. Super Sprint triathlon – 400 yard swim, 10 mile bike, 2 mile run. Flat course. 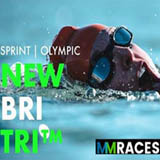 Experienced triathletes available to mentor. All abilities welcome. This laid back race will have you falling in love with triathlon. Since 2004 the Graniteman Triathlon in Clearwater has attracted participants from across the U.S. and Canada. Graniteman Clearwater is the second race in a 3 race triathlon series that also includes races in Buffalo and Big Lake. Our Clearwater race takes place at beautiful Warner Lake located just minutes from I-94 in Clearwater, MN. It offers both sprint and olympic distances and features a unique point to point sprint distance swim, a beautiful bike ride through rolling country roads, and finishes with an out & back run that includes both paved and natural surfaces. 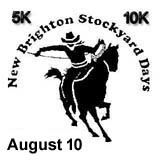 There is also a park for the kids, live music, great food, fantastic race swag, great awards, and awesome door prizes! 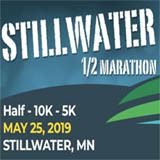 The Lift Bridge Road Race 10 Mile/10K/5K is based in Bayport, Minnesota. This course is mostly rural with scenic views throughout. 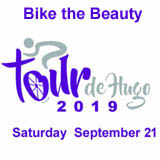 It is based out of Lakeside Park on the banks of the St. Croix River making it not only convenient for participants but families coming to cheer you on as well with plenty to do in the park before and after the event. The Annual Spearfish Canyon Half Marathon Event. Enjoy your day with a walk/run down beautiful Spearfish Canyon! All proceeds benefit the CASA program. Start with a 3.5 mile paddle down the St. Croix River, then a 5.5 mile run, mostly trail, through William O'Brien State Park, and finish with an 11 mile bike ride through beautiful Scandia. 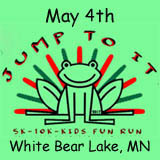 Certified 5K Fun Run/Walk,Kids 1/2 Mile Fun Run. 1st Place Trophy to first man and woman, age group awards. Turquoise tech shirts to all 5K finishers. All registrants entered for door prize giveaways. Must be present to win. 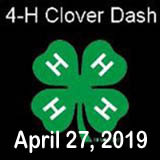 We will be collecting usable t-shirts, running shoes, and non-perishable food items on the day of the race. Donated items will be given to the ACBC Food Shelf. Bingo, Baby crawling contest, car show, craft and gift show, parade, sand volleyball and more!Online registration$20 through July 6. Drop in registration at City Hall July 7 and race Day $25. Kids 1/2 Mile Fun Run Free, no need to register. Race day registration 7AM to 7:45AM. Race starts at 8AM. Kids Fun Run starts at 9AM. The Tour de Donut Minnesota is a unique bicycling event where your ability to eat donuts is as important as your ability to ride your bicyle fast. The 33 and 55 mile routes will include three Donut Stops. Donut consumption is not mandatort, however, a time bonus will be awarded for each donut consumed and recorded. Awards will be presented for Best Elapse Time, Adjusted Time, and Most Donuts Eaten. Join us on July 20th at the Lakewalk in Canal Park Duluth, MN for Emotions in Motion: 5k Run/Walk for Mental Health. Online registration ends Friday, July 19th at 5pm, but you can still register at the event. Stay after the 5k for the resource fair, raffle and food! 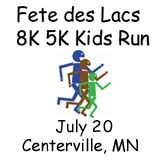 Annual 5K, 8K and Kid’s runs, events in City of Centerville annual celebration Fete des Lacs. Family Registration option maximum $50 fee. Wilderman Full: 2.4 miles of swimming, 112.2 miles of gravel grinding, mountain biking and stream crossing, and 25.7 miles of the gnarliest trail running in the state. Wilderman Half: 1.2 miles of swimming, slightly more than 63.8 miles on the bike, and 16.2 miles of trail running. Wilderman Relay: Full course, but as a relay. Teams of 2 or 3. 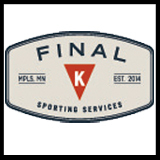 Join us for Minnesota's oldest and original triathlon on this beautiful course located within the metro. Sprint and Olympic distances available. Barbecue follows the race.